Chandler’s Roofing, a top GAF Master Elite™ Contractor in Los Angeles and Orange County, CA, has been selected as the first GAF Solar Elite Contractor™ in Southern California, bringing together industry-leading solar services and roof warranty options to offer to their customers. Chandler’s Roofing, one of Southern California’s most prestigious roofing contractors, announced today the expansion of their solar business through a strategic alliance with GAF and its Solar Elite Contractor™ program. The new relationship provides leading solar offerings for Chandler’s customers in Southern California while providing customers with additional financing mechanisms, first-in-class service, and GAF’s Golden Pledge® Limited Warranty Addendumfor solar racking systems on their rooftops. Chandler’s Roofing is in the final stages of forming a new division, which will operate as Chandler’s Solar Development; however, the solar solutions offered through GAF’s Solar Elite Program are available immediately to Chandler’s Roofing clients. This announcement comes on the heels of Chandler’s recent acquisition of the Orange County roofing company Handley Development, Inc., and plays heavily into the vision of growth for Chandler’s Roofing future: to provide industry-leading quality, service, and craftsmanship while offering the region’s best warranties and modern solar roofing solutions. Originally established in 1942, Chandler's Roofing has been recognized as the premier Southern California roofing contractor, winning leading industry awards such as 2011 Roofing Contractor of the Year and 2010-12 Angie's List Super Service Awards, and earning the prestigious Master Elite™ Roofing Contractor status with America's largest roofing manufacturer, GAF.  With a long history in high-quality craftsmanship, Chandler's Roofing is skilled in multiple residential, commercial, and industrial new and re-roof applications, providing complete roofing, solar, rain gutter, insulation, skylight, and custom sheet metal solutions to its clients. For more information about Chandler's Roofing, visit http://www.chandlersroofing.com. With a focus on social responsibility, GAF has developed Advanced Protection® Shingle Technology, which provides superior durability and wind resistance while reducing the use of scarce natural resources. The company has also developed single-ply and asphaltic membranes with superior durability and high reflectivity to meet the most rigorous industry standards while helping commercial property owners and designers reduce energy consumption. For more information about GAF, visit http://www.gaf.com.